The President that did more to help the poor people in the United States than Obama himself …. President Hugo Chávez was known for his grand overtures and bold attacks. A exceptionally gifted orator who relished media attention, he continually came up with show-stealing lines. Below are 10 of the many moments that made Mr. Chávez such a distinctive force in Venezuela and across the world. Cindy Sheehan adds the following tribute to a wonderful human being …. I have met and interviewed so many people in Venezuela whose lives were immeasurably improved by the vision and dedication of Hugo Chavez. How can one put a price on going from being illiterate to being able to read? A 65-year-old woman told me her life was transformed by the adult literacy program. It really made me appreciate the fact that I have always known how to read (it seems). What would I have done without my best friends, my books? Wow. I guess Capitalism would tally the cost of educating one student and, of course education here in the US is now just another commodity, but the look of wonder in my Sister’s eyes was priceless! Another woman showed me her perfect teeth in a huge grin. She told me that her teeth used to be so bad, that she would never smile before, but now, due to her new set of false teeth provided by the national dental program, she walks around grinning like a lunatic all day, which made me laugh with joy! Again, Capitalism would say: One set of false teeth equals X amount of dollars. I say, being able to smile after years of embarrassing humiliation is worth more than any amount of gold. Those are just two stories out of millions and my heart breaks with sorrow for the People of the Bolivarian Revolution that must be even more devastated than I, today. I witnessed Chavez the proud “abuelo” (grandpa) once on a long flight from Caracas to Montevideo that I took with them. We chatted about out “nietos” (grandchildren) and felt a mutual connection there. I hugged my grandbabies a little harder today when I found out that Chavez died, because I know the wonderful connection that he had with his. My heart breaks for his children and his family, and his brother, Adan, who seemed to be constantly at his side. It’s just a very hard day. I was with Chavez in Montevideo, Uruguay, for the presidential inauguration of Felipé Mujica. I was amazed that Chavez could just plunge into the crowds and interact with the people without a phalanx of bodyguards, anti-aircraft missiles and assault weapons. His security detail was prepared, but not paranoid like up here in the Empire. Someone who is universally loved by the 99% need have no fear. Chavez had no fear. Chavez’s courageous battle against the Empire was more successful than his battle against cancer. Chavez was able to inspire more leftist leaders in Latin America and my friends in Cuba will always be grateful for the friendship between Venezuela and Cuba. 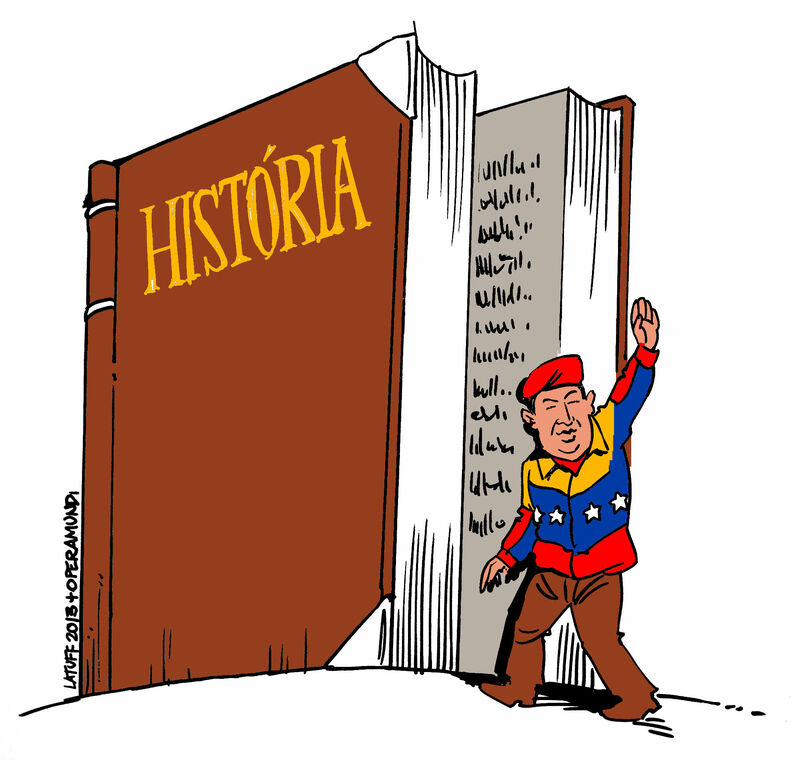 The struggle against neo-liberalism and the Empire has been far advanced under Chavez’s inspirational leadership. This is a sad day and I am angry that the so-called leaders of my own country made Chavez’s life a virtual hell, but he survived one coup attempt and the many other attempts through the media and financing of his opposition to undermine the revolution. When in the hell is this country going to mind it’s own goddamn business and realize that not every drop of oil belongs to our oil companies and not every democratically elected leader must pledge undying obsequiousness to the Evil Empire? I know the upper echelons of The Empire think they have won a victory today (if it didn’t give Chavez his cancer in the first place—don’t even start and say I am a “conspiracy theorist” everyone knows that the Empire is fully capable of it, they couldn’t kill him, or depose him, outright) and all the oil will now flow back into the hands of our big oil companies, but The Empire underestimates the people of Venezuela and their dedication to the Bolivarian Revolution and love for their leader, Hugo Chavez. Chavez will never die if we honor his vision and continue our struggle against The Empire. US Presidents come and go with destructive, yet boring and predictable regularity and are numbered for History’s convenience when they should all have had black and white striped clothing and be behind bars. However, it is my belief that Hugo Chavez Frias will go down in World History as one of the most significant figures of the early 21st Century and his passing is a tragic and profound loss to us all, as his life was an inspiration. Thank you from the bottom of my heart and soul. Your light is far too bright to be extinguished by something as cruel as death and your light shines in all of us whose hearts burn with revolution and love for all the people. My life and our world are far better today because of your life and the struggle continues until victory! Despite being urged to refuse the invitation of the Israeli Tourist Ministry….. The linked letter was translated into Spanish, but it did not help…. Amid the euphoria surrounding the rescue of the 33 trapped Chilean miners last month, Israel has invited the men to spend Christmas in the Holy Land. The miners – who became instant heroes after surviving 69 days trapped underground – have accepted the free trip, but with only one condition. They will not go without their relatives – all 70 of them. Israel says it is considering the proviso, but Palestinians have raised concerns about the idea of an Israeli-organised visit to the occupied territories. The miners responded by saying they were happy to accept the all-inclusive trip to Christian holy sites. According to Israeli press reports, the list of travelling companions submitted by the men includes 31 partners, two mothers, 33 children, one grandchild, one nephew and one step-daughter. One miner reportedly asked to bring both his wife and his mistress. A spokeswoman for the Israeli tourism ministry confirmed the men had asked to take their families with them. “We are considering the petition, but we will not take a decision until next week,” she added. Francisco Carvajal, the Chilean consul general in Israel, indicated that the he had not received confirmation from the either government or the miners regarding an acceptance of the Israeli offer and the enlargement of the group. But the invitation – for a seven-day stay – risks triggering an angry response from the Palestinians. “We are not against them coming. But the Israelis cannot invite someone to the house of their neighbours”, Fayez el-Sakka, a Palestinian MP from Bethlehem, said. Last night my cousin Aaron visited us for dinner and brought with a film for us to watch afterwards. He said it was “special for me” and promised that I would enjoy it. I looked at the title, it certainly did not look like a movie I would go out of my way to see, it was called ‘The Motorcycle Diaries’. The film itself was produced in 2004, but was unknown to me, probably because it is in Spanish (with English subtitles) and never received raving reviews in Israel. It was a film based on diary entries written by one of my heroes, Che Guevara. Next month it will be the 43rd anniversary of his brutal assassination in Bolivia by the CIA. But, despite his demise, he is very much with us today. His face has become an icon to an entire generation that adorns it on t shirts and posters. But, what is known about the man himself? 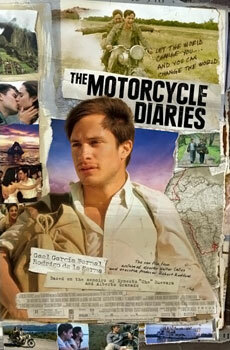 The Motorcycle Diaries shows a side of Che never before revealed on film…. the Humanitarian that he was. A man who cared, a man who loved, both family and all of humanity. It showed how he became the revolutionary that he was, a man that dedicated (and gave) his life for humanity. The thoughtfulness of my cousin for choosing this particular film indicates what a special human being he is as well. All I can say is thank you Aaron and Bless you for being you! And Bless the memory of Ernesto ‘Che’ Guevara ….. may he continue to inspire generations to come! The film itself is a MUST SEE for those of you that haven’t already. I guarantee that you will not regret it. 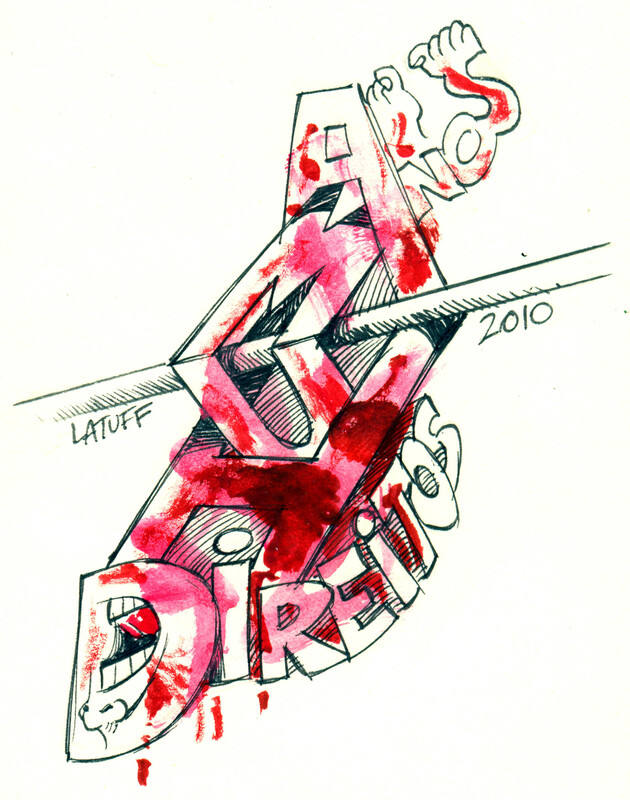 A short clip from the film can be seen here…..
finger nails and parts of skin pulled out, and then executed. May he rest in peace. Struggle goes on. 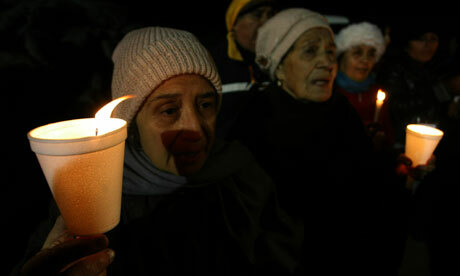 Mercedes Sosa, the Argentine folk singer who became known as the “voice of Latin America”, has died at the age of 74. Thousands of people, many with flowers or Argentine flags, gathered to pay their respects on Sunday at the National Congress, where her remains lay in state. Sosa had been in intensive care in a hospital for days with kidney problems. Her body was taken to the Congress building in Buenos Aires for public visitation and her remains were to be cremated on Monday, local media reported. “Her undisputed talent, her honesty and her profound convictions leave a great legacy to future generations,” her family said in the statement posted on her website. Known affectionately as La Negra, “the Black One” due to her dark hair and skin, Sosa fought South American authoritarian rulers with her voice. Sosa’s version of Violeta Parra’s “Gracias a la Vida” – “Thanks to Life” – became an anthem for leftists around the world in the 1970s and 1980s. Her own political leanings – she was a member of the Communist Party – attracted attention from the authorities between 1976-83, when up to 30,000 people were killed in a crackdown on leftist dissent. Sosa hailed from a working-class family in Argentina’s poor, sugar-growing province of Tucuman. She entered the music industry at the age 15, when friends, impressed by her talent, encouraged her to enter a local radio contest under the pseudonym “Gladys Osorio”. Her latest album, “Cantora 1 & 2”, a collaboration with artists including Shakira, Caetano Veloso, Jorge Drexler, has been nominated for three prizes in next month’s Latin Grammy awards in Las Vegas. 3 NEW HONDURATOONS ~~ ¡HASTA LA VICTORIA SIEMPRE! Comments Off on 3 NEW HONDURATOONS ~~ ¡HASTA LA VICTORIA SIEMPRE!